Listening is becoming a lost art in the business world. Consider how often in interviews, business meetings, negotiations or sales calls people become so intent on making their own point that they fail to pay attention to what others have to say — or to their reactions to what is being said. People who conduct conversations in this way make it difficult to reach any understanding or consensus. 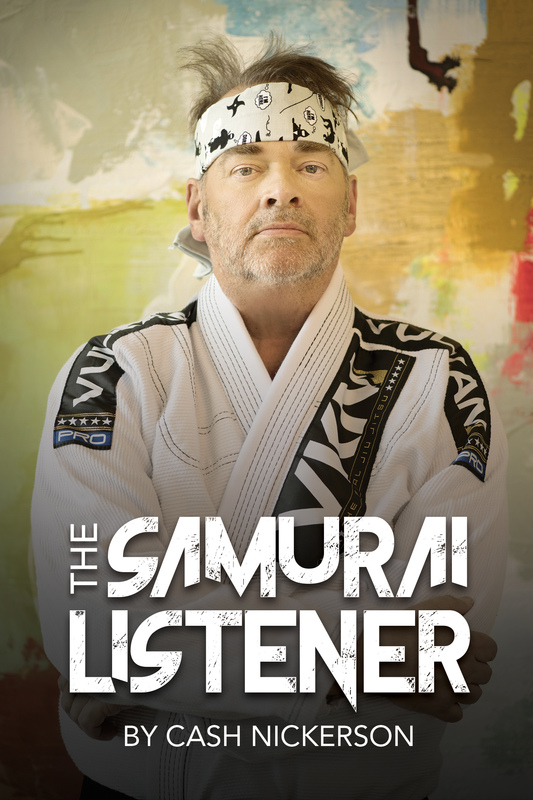 In his new book, The Samurai Listener, author Cash Nickerson, a CEO and avid martial artist, applies the rules of engagement in the combat arts to the workplace arts, and particularly the active listening skills needed in business communications. He shows how, in the same way that a Samurai warrior learns to rely on powers of observation to read an opponent, those in the business world who listen and observe are better able to intuit another’s intent, handle conflict and find common ground. Nickerson makes the case that people only listen enough to get a sense of a speaker’s main point, but they lack active listening skills that give them important clues to the larger picture. Rather than the usual inattentive listening, he describes how active listening requires full engagement and the use of clues beyond the auditory to decipher another’s meaning. Just as in the martial arts, paying attention to body language and gestures, changes in posture, eye contact and more give you a sense of your opponent’s next move. The author presents 11 key traits needed to by the Samurai Listener. He condenses these traits into the mnemonic ARE U PRESENT, which stands for Awareness and Attention, Reception, Engagement and so on. In each chapter, Nickerson spells out the importance of each particular active listening trait, and includes exercises and suggested dialogues to help readers begin to utilize them. In his chapter on emotions and how they play a role in someone’s receptivity to information, he describes how Donald Trump, in debates during his candidacy for president, destabilized his opponents by preying on their emotions. Trump assigned pejorative monikers to his adversaries — Lying Ted for Ted Cruz, Crooked Hillary for Hillary Clinton — to effectively put them on the defense. This provocative technique worked in his favor because the incensed veteran politicians were thrown off guard and lost their composure. Nickerson also shares strategies for engaging with different types of communicators, including people who dominate conversations, argue, interrupt or need to be drawn out. He provides tactics to ensure any exchange with different types of communicators involve balanced give and take. It could include paraphrasing what someone else has said to confirm understanding, or stopping when your listener shows visual clues of disapproval and asking his or her opinion. The Samurai Listener is a guide to mastering active listening techniques and honing the calm attributes of a warrior in order to stay focused and improve interactions with colleagues and clients.